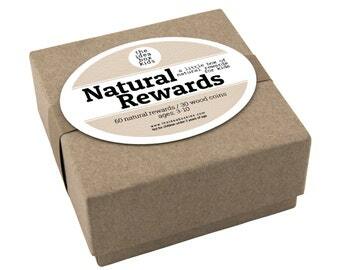 If you need your Idea Boxes by a specific date, please let us know by including a note in the notes section during checkout and by choosing the shipping option that best matches your "need by" date (based on our estimated delivery/transit times- found by clicking the "Shipping & Policies" tab). We will contact you via Etsy if we have any questions or are not able to meet your "need by" date. Please keep in mind that during certain times of the year, we may not be able to accommodate every "need by" request. NOTE: We are unable to guarantee delivery dates or transit times on any order. The delivery dates/transit times that we receive from the USPS, and provide to you, are estimates only. Our Idea Boxes have been tested by a CPSC (Consumer Product Safety Commission) approved lab (Intertek), and are in complete compliance with all of the CPSIA regulations. Simple & sweet! Gift-wrapped in brown kraft paper and tied with a red string. My kids love picking these out of the box. Well made and a neat idea for helping to show kindness. 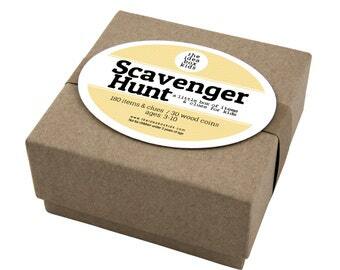 I am using these activity boxes in my home classroom. So convenient for my very active 7 year old. She loves the different activities and the product is very high quality. Shipped on time and arrived promptly. Thank you! The Idea Box Kids accepts most major credit & debit cards through PayPal or Etsy Checkout, as well as Etsy Gift Cards. We do not accept checks or money orders. All of The Idea Boxes are made upon ordering. If you would like to cancel your order, please let us know immediately. If there are any concerns with your Idea Box after receiving it, please contact us via the Etsy messaging system. Thanks! 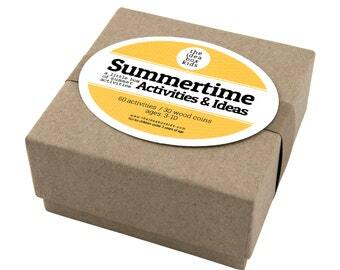 Idea Boxes are ready to ship within 2-3 business days from the order date. 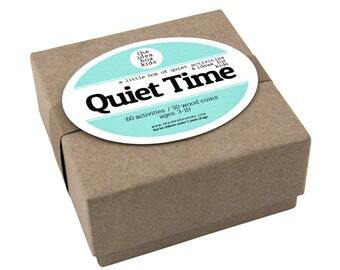 If you need your Idea Boxes by a specific date, please let us know by including a note in the notes section during checkout and by choosing the shipping option that best matches your "need by" date (based on our estimated delivery/transit times, above). We will contact you via Etsy if we have any questions or are not able to meet your "need by" date. Please keep in mind that during certain times of the year, we may not be able to accommodate every "need by" request. Our Idea Boxes are tested per CPSIA regulations for sale in the US only. For children's products (ages 12 & under), testing is required for *every* country a shop ships to. As we are able to test for more countries, you will see those countries added onto the shipping options in our store. It's not because we do not want to ship to you, rather, we choose to comply with all safety & legal regulations that are set by your country for children's products. Please make sure the "Ship To" address on your order is correct. The Idea Box Kids cannot be held liable for packages that are shipped to incomplete or incorrect addresses provided by the customer. We ship all orders via USPS. If your "Ship To" address has special delivery instructions with the USPS, please notify us immediately. Reserved Listings will be kept available for 7 business days. Idea Boxes will not be made until payment is received. 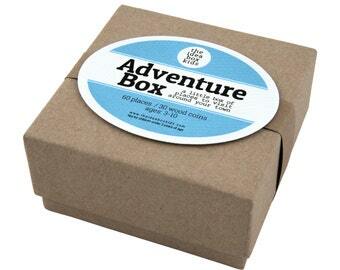 This may result in a delay of your order and voids any previous delivery dates provided by The Idea Box Kids LLC. 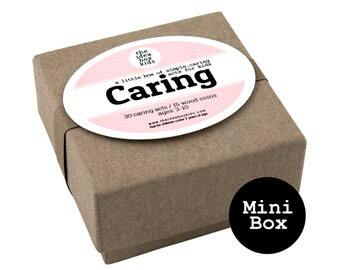 If you like the Idea Box that you ordered & received, please consider leaving feedback for our shop. 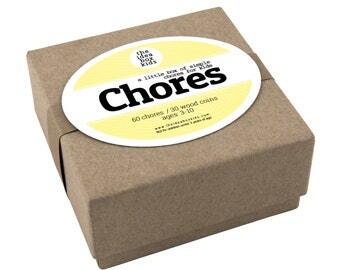 This helps other parents/buyers find out a little more about our Idea Boxes through others that have purchased it. 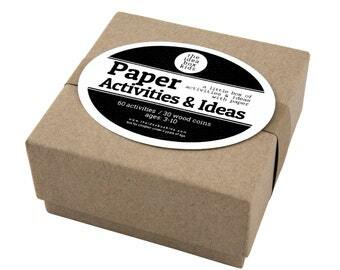 Are Idea Boxes Available for Wholesale? Idea Boxes are available for wholesale. For more information, please email: info@theideaboxkids.com. Please include your store name and a link to your website. Can I Customize the Label? Every so often we get a request to alter or change the wording on our product labels... to personalize it for the recipient in some way. We would love to accommodate these requests, however, we do not offer custom labeling, personalization, or change the name of our product in any way. Are the Coins Safe for My Child? Yes. We specifically chose the size of the coins we use in each Idea Box because they exceeded the requirements set by the CPSIA. 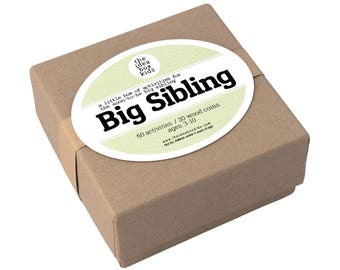 There are two different sizes of coins we use: Large, chunky coins are in the boxes for ages under 3, and our standard sized coins are in the boxes for ages 3 and over. 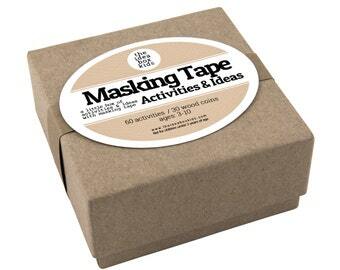 Each Idea Box has been CPSIA lab-tested specifically for the age group listed on each product label. Note: Idea Boxes are not a toy. We discourage children from playing with the coins in any way. We are unable to guarantee delivery dates or transit times on any order. The delivery dates/transit times that we receive from the USPS are estimates only. This applies to rush/expedited orders as well. When are New Idea Boxes Released? Want to know when we release new Idea Boxes?